Escape Velocity Cycling Club is for riders of all levels and abilities who share a commitment to improving their performance. For many years we have been the primary organizer of cycle racing in the Lower Mainland and we proudly support one of the premier youth cycling development programs in the country. Free Escape Velocity jersey with membership. Structured rides with a professional coach. 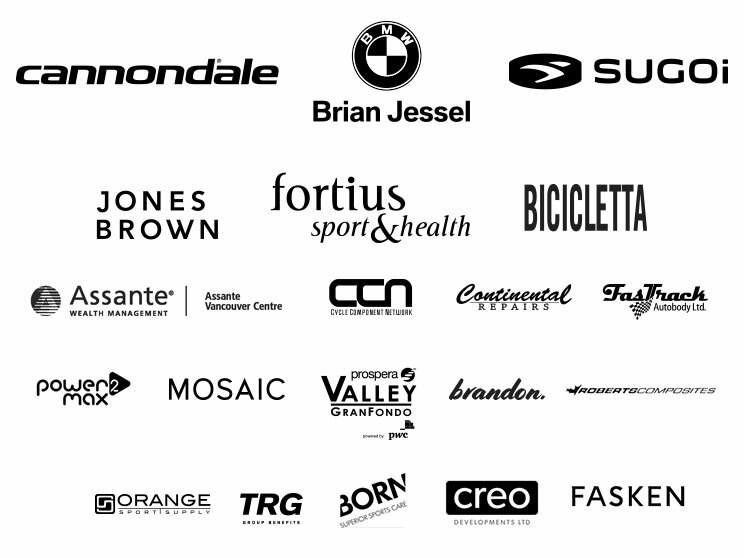 Affiliation with one of the most respected cycling clubs in western Canada. Year-round weekly group rides catering to riders of different abilities and fitness levels led by experienced club ambassadors and featuring structured drills to improve fitness, group riding skills, and racing tactics. Learn to Race clinics for those new to racing. Open and friendly social environment. Great deals from our fantastic partners and sponsors. Reduced entry fees for races hosted by Escape Velocity pb Fortius. Yearly calendar of special rides and events. We welcome riders of all skill and experience levels, whether you are a new rider, an aspiring racer, or a vet who has been around the block a few times. Our group rides cater to a range of abilities and fitness levels and explore the many routes available within a short distance of downtown Vancouver. During the winter season we continue to ride to maintain our base fitness, and offer structured drills and training to ramp up your performance for the coming racing season. Come ride with us! We welcome newcomers to our club. This is our developmental program for youth in the U13 and U15 categories. This program aims to lay a solid foundation by focusing on essential bike handling skills and developing participant's endurance while having fun. For detailed program information, visit DEVO. This is our high-performance program for youth in the U17 and U19 categories who have “graduated” from the DEVO program. At this level, participants focus on competition within BC, nationally, and in the United States as well. For detailed program information, visit DEVO. If you want to learn to race, improve your racing ability, or support racing events, you have come to the right place. Escape Velocity provides the backbone of the road racing scene in the Lower-Mainland, hosting 12 road races during the Spring Series and 18 criteriums in the World Tuesday Night Championships series. This year, we are also proud to host the 2019 BC Road Race and Time Trial Championships.